Thanksgiving is by far my favorite holiday. Probably because the whole thing revolves around eating and doesn’t involve stressful gift-giving or decorating. The only thing that causes me Thanksgiving stress is worrying about whether there will be enough food. Not for the dinner itself, but for leftovers. What a tragedy it would be, going to the refrigerator at midnight on Thanksgiving and discovering all the stuffing was scarfed down by your gluttonous relatives! It’s a Thanksgiving version of The Grinch Who Stole Christmas. Since I’m not hosting this year, my destiny is in the hands of my fabulous relatives. There’s never a shortage of food with this gene pool, so no worries. If you’re looking for a delicious and easy salad to make for Thanksgiving, this is it. It’s a crowd pleaser. Refreshing when paired with all the heavy sides that grace our holiday table. A little leafy green stuff alongside everything else is delish. 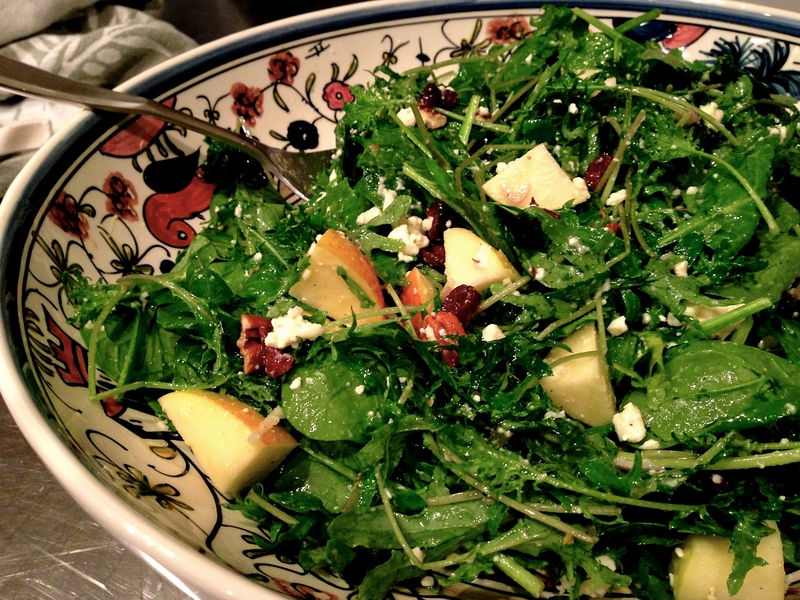 To make it really easy on yourself, buy pre-crumbled cheese and pre-washed greens. You can throw this salad together in minutes. Combine the ingredients together in a small bowl, adding the olive oil last. Whisk to emulsify. Set aside. Place all the ingredients in a large bowl, lightly drizzle the dressing over the salad and toss. You probably won’t need all the dressing. Leftovers will keep in the refrigerator for a few days. I should mention that I’m an apple snob. Chalk it up to living in beautiful Bucks County with all our local farms. 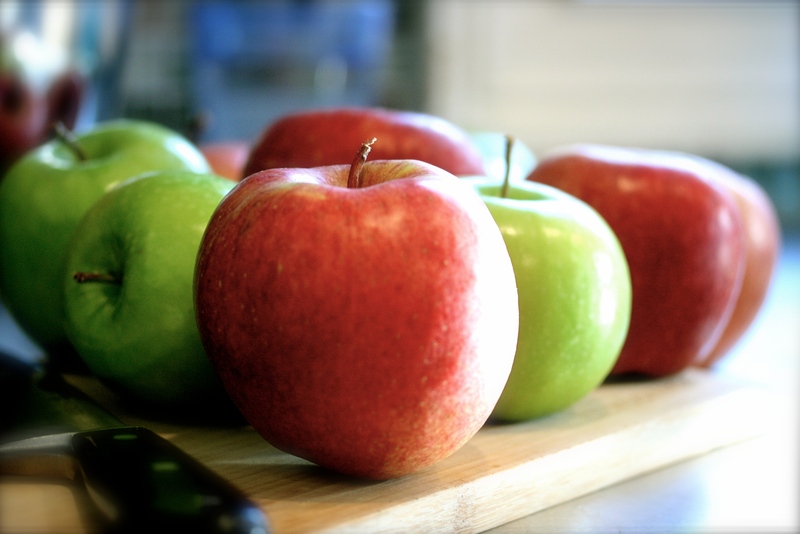 I love honey crisp, sun crisp or fuji apples, something super crisp and sweet is best. I don’t even peel the apples for the salad.